If I could sum this book up in one word it would be: cute. This was just a really cute story through and through and reminded me a lot of the stuff I used to read in high school/middle school. Angsty protagonists? Check. Those same protagonists living famous lives? Check. Cute boys? Check. 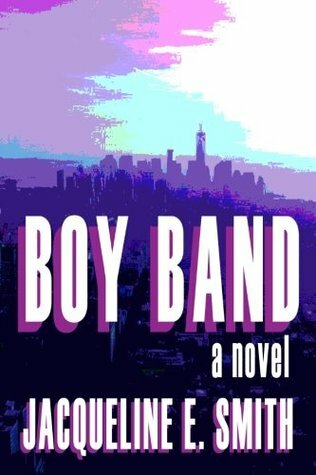 I’m glad I read this during the springtime, because it’s one of those books that just puts you in a feel good mood and transports you from the real world for awhile and make you wish that you were in the story with Mel living it up behind the scenes with a famous band. I like the way that Mel’s voice comes across on the page too, because it doesn’t seem superficial. She’s very down to earth and connects with readers with her quirky ways of interacting with the boys in the band all while dealing with issues that I’m sure all of us have dealt with (like falling in love with your best friend. Obvs). Since I’ve been on the hunt for a lot of books surrounding bands and music lately (for obvious reasons. My Beatle obsession ceases to exist, and as I write this I’m probably annoying my neighbors by blasting one of their records too loudly). Anyway, this was the perfect book to settle that itch, and was something that left me smiling and saying “aww” throughout. A solid 4/5 stars from me!